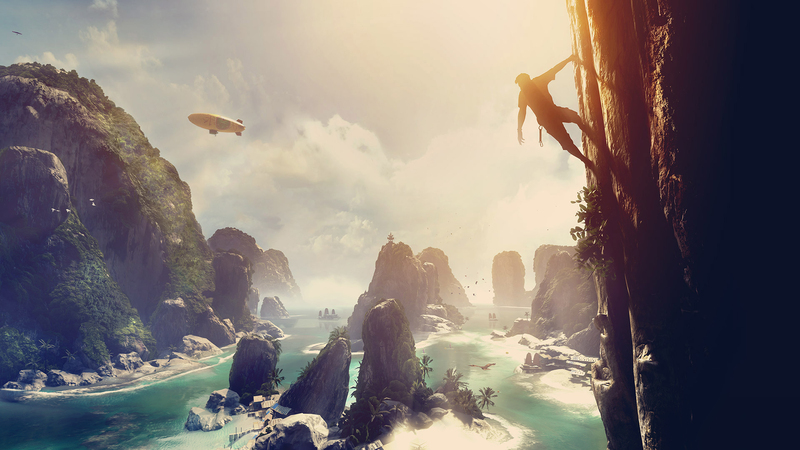 Crytek announced their first VR title of Robinson: The Journey for PlayStation VR at E3 earlier this year. However, they have had a lot more than just that in the works. With this map seemingly set somewhere in Asia, you’re on a beautiful tropical beach resort. As apparently a professional free-climber, you’re scaling the rockfaces of the nearby cliffs in an attempt to reach the top. I’m not entirely certain on how this will feel given the fact that you will be sitting but I know they would not make the game if they didn’t test out the look and feel for it already. It utilizes Crytek’s CryEngine 3 so you can rest assured that it will look good, especially on your Oculus. Speaking of Oculus, we can only assume that it would use the Oculus Touch motion controllers from the looks of the the hands. This means that you’ll have that second level of immersion with vision + movement of your arms. Here’s to hoping that it becomes a success. We could all use a little more immersion in our lives. I’d rather climb a chocolate mountain. I can climb a real one any day. What in fsm’s name were they thinking? Who wants to play something you can already do for real? The Goob hath thusly ruled on this idiocy. Some people are quite scared to attempt such a feat in real life, this could really push them over the edge or so to speak or at least off the couch and give them that motivation they need to go out and do the real thing.